Saadat S, Yousefifard M, Asady H, Jafari AM, Fayaz M, Hosseini M. The most important causes of death in Iranian population; a retrospective cohort study. Emerg (Tehran). 2015;3(1):16–21. World Health Organization. The 10 leading causes of death in the world, 2000 and 2012. http://www.who.int/mediacentre/factsheets/fs310/en/. Published May 2014. Updated January 2017. 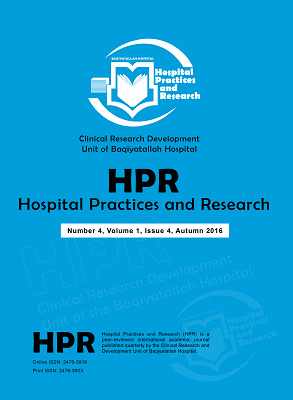 Forouzanfar MH, Sepanlou SG, Shahraz S, et al. Evaluating causes of death and morbidity in Iran, global burden of diseases, injuries, and risk factors study 2010. Arch Iran Med. 2014;17(5):304-320. Fayaz AF, Goudarzi A, Taghaddosinejad F, Behnoush B. Sudden unexpected natural death in the youth; an Iranian single center Investigation. Int J Med Toxicol Forensic Med. 2014;5(1):8-11. Winkel BG, Risgaard B, Bjune T, et al. Gender differences in sudden cardiac death in the young-a nationwide study. BMC Cardiovasc Disord. 2017;17:19. doi: 10.1186/s12872-016-0446-5.